I needed to calculate my moves - should I go further pretending I saw nothing or should I run backwards to avoid the man? I walked as fast as I could, and recited ‘Ayatal Kursi’ more than 10 times in two minutes. I could see the motorcyclist from the corner of my eye. He was staring at me as he passed and a shiver ran down my spine. I tried to catch my breath. My palms were cold with sweat and fear choked my heart. Retribution was coming; I was going to be punished for people-watching. I shouldn’t have stopped and stared at a couple being mugged on the roadside by a twenty-something holding his pistol towards his elderly prey. The motorcyclist had stood there so nonchalantly, giving the impression that he knew the pair sitting in the Honda City as the woman scoured through her bag and the man emptied his pockets. The incident caught my attention as I was walking across the road to get to work. It is the way I usually pass, looking at shops and passerby’s. But when I saw the crime I couldn’t move. 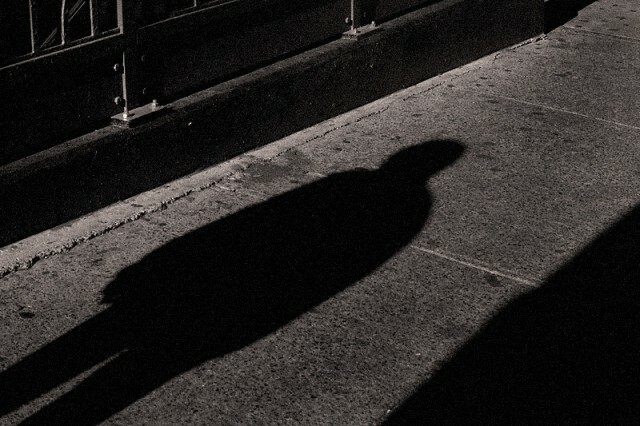 The mugger had robbed the couple and me of any feeling of power we had over our lives. Getting mugged is one thing, and to see someone being mugged is another. It’s like sitting and watching someone die. You wait for death to flick its wings over you too. Today it was them but tomorrow or maybe the day after that it could be me. Or worse, it could be when I am least prepared, when I am starting to feel safe again. It’s not about losing your belongings; it’s about losing your trust on the streets you walk on and finding yourself weak in society. My senses were paralysed as I saw the motorcyclist stop on the corner where I was supposed to turn – the left lane of the area I knew so well. He was waiting for me. The confidence in the motorcyclist’s eyes was fed by my panic; his unsuspecting smile was a surprise. He saw me watching him in action. He saw the fear in my stride. Time was short and I knew the man standing in the lane was anticipating my presence. I needed to calculate my moves – should I go further pretending I saw nothing or should I run backwards to avoid the man? I gathered courage from every fibre in my body and walked forward. Like him, I waited and watched. I took the parallel side of the road and saw him move a yard away from me. I grew wary and recited every prayer I knew that could help summon divine intervention. I don’t know whether it was an answer to my prayers or if the elderly couple was loaded enough to satisfy the mugger’s hankering for the day but somehow I was saved. I think the biker in blue savored my fear. He rode for 15 minutes, stopping and moving, as I watched and waited. And then went off, maybe to find another prey. He was probably chuckling over my embarrassed, frightened stares as I tripped along pretending to be indifferent to the episode, which kept replaying in my mind for four hours. A Karachi-based sports reporter for The Express Tribune.